Many students join Poltair School at times other than the usual transfer process. This is for a variety of reasons. Typically a transfer is the result of a family moving into the area or because there have been difficulties at another school. In every case, it is important to meet and discuss the implications of the move so that we can be as helpful as possible and everyone concerned can be certain that it is the right step to take. Since September 2010, all applications for school places have to be made to a parent's home Local authority. It is no longer possible for parents to apply direct to a school for a place for their child. However, if you are thinking about applying for Poltair School, we would encourage you to contact us in advance of your formal application to the local authority. Moreover, once you have been allocated a place at Poltair it is even more important that you get in touch with us so that we can arrange finalise a personalised learning programme that is right for your child. In order to get this right, and as a matter of course, we always seek to contact your son/daughter's previous school. In this way we anticipate any school move to be appropriate and as smooth as possible. Generally speaking a transfer during Years 7-8 is likely to cause few curriculum problems. Moving into Year 9-10 can present a number of problems with different subjects not always matching. Before considering this please speak us in order to be clear as to which subjects are available and in what combinations. 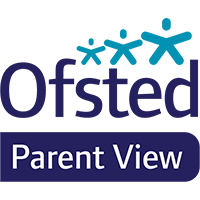 We will also need to be clear as to how much progress your child has made in their current studies; this is particularly the case when it comes to completed coursework / controlled assessments. Moving schools during Year 11 is not advisable. If you live in Cornwall your home local authority is Cornwall Council. The council's own website contains a great deal of helpful information to assist you through the process. The address is www.cornwall.gov.uk/admissions. A guidance document on In-year Admissions, prepared by the local authority is available by clicking here. The on-line application form for In-year admissions is available by clicking here. Poltair School's prospectus is available by clicking here.